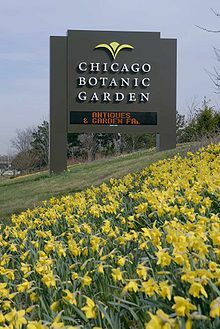 On Friday, September 9, 2011 RLA-CE will be sponsoring a field trip to the Chicago Botanic Garden. Beginning at 10:30AM, the group will go on a tour of the Lenhardt Library and also take a 35-minute tram tour that showcases the Heritage, Rose and English Walled Gardens, along with the gardens of the Great Basin. The Chicago Botanic Garden offers 385 acres of gardens, truly a treasure in the Chicago area. This field trip is free for registrants and includes parking. Please note, that this program will be limited to the first 20 people who sign up. Registration closes on Thursday, August 25. Also, if you register and cannot make it, please let us know ASAP so we can pass the spot on to another registrant. Registration: Sorry, registration is closed for this program. Please contact us if you would like to be added to a waitlist.